Colosseum is the rest of the amphitheater which has became one of the landmarks of Rome. 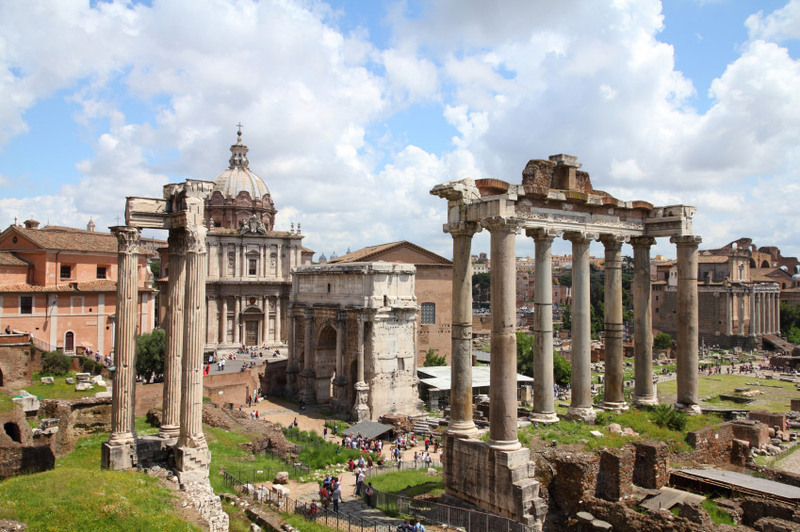 It is one of the popular places to visit in Italy which is located in the center city of Rome, at the east side of the Roman Forum, the former of town square full of debris - ruins of ancient buildings. 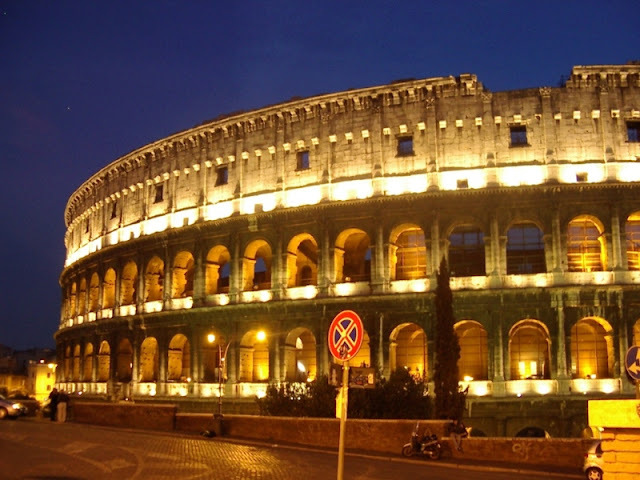 Colosseum is the biggest amphitheater in the world and is regarded as the best works of Roman architecture as well as the symbol of the Roman Empire. Although only in the form of the ruins, the Colosseum was visited many times by both local and foreign tourists, and has become one of the popular travel destinations in the city of Rome. In the Italian language, this place is called Fora Romano, a town square which is surrounded by some ruins of the ancient government buildings. The town Square is situated in the center city of Rome, Italy, between the Palatine Hill and Capitoline Hill. 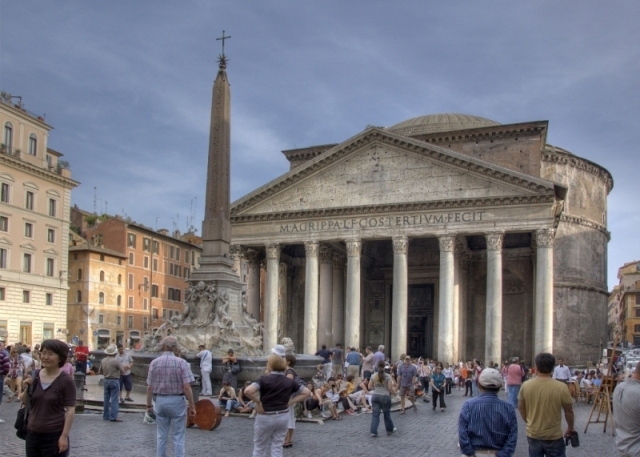 Pantheon is a building in the Roman Empire era which is now converted to the Roman Catholic Church. The church is built at the edge of the Piazza della Rotonda, the crowded town square that is located in the historic center of Rome, not far from Piazza Novona. Pantheon has a circular form with a triangular roof and high pole on the terrace which gives a unique shape. 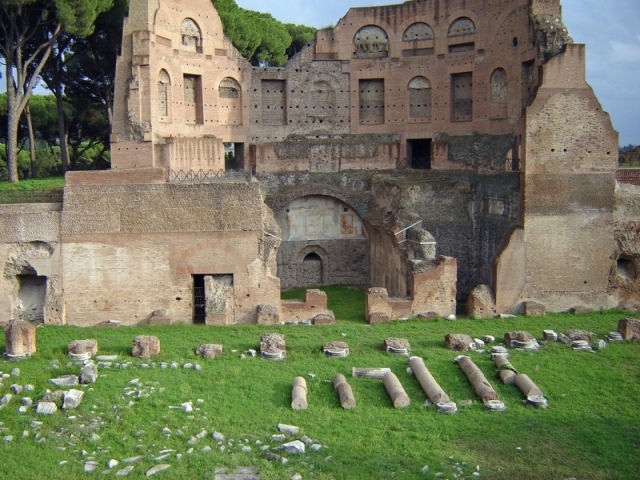 For the best examples of ancient Roman buildings that is well maintained continuity, the Pantheon with a unique shape has become a model of a lot of buildings in the world, either old buildings such as the Church or model of a modern building of 20s century. Recently many government buildings, city halls, universities, public libraries, and other buildings resemble the shape of Pantheon, especially the part of the terrace. In fact there are several buildings that has similar looks are also called Pantheon, one of them is the Pantheon in Paris. Have you seen the movie of Angels and Demons? If so, you will absolutely be familiar with the building. 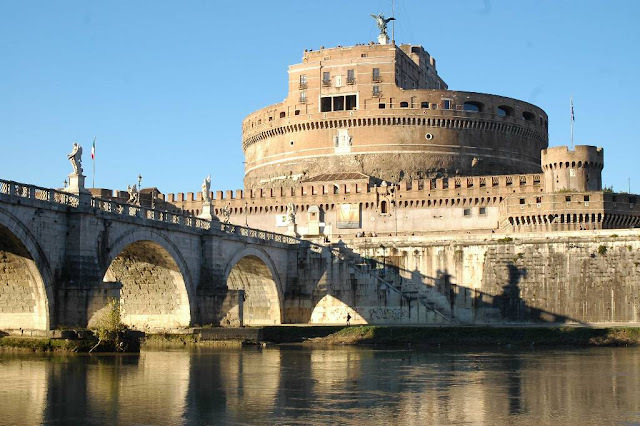 Castel Sant 'Angelo is an ancient cylindrical castle located on the right side of the Tiber river and is connected to the other side of the river through the Ponte Sant' Angelo, pedestrian bridge with statues and classic light poles on both sides. Castel Sant 'Angelo was established in the 2nd century and was originally the mausoleum for Emperor Hadrian. During its existence, this Castel has been frequently switching functions, starting from the tomb, the castle, part of the city walls, the Pope's residence, prisons and military barracks, until now as a national museum. In Italian it is called the Fontana di Trevi, is a fountain which is situated in Trevi, Rome, Italy. 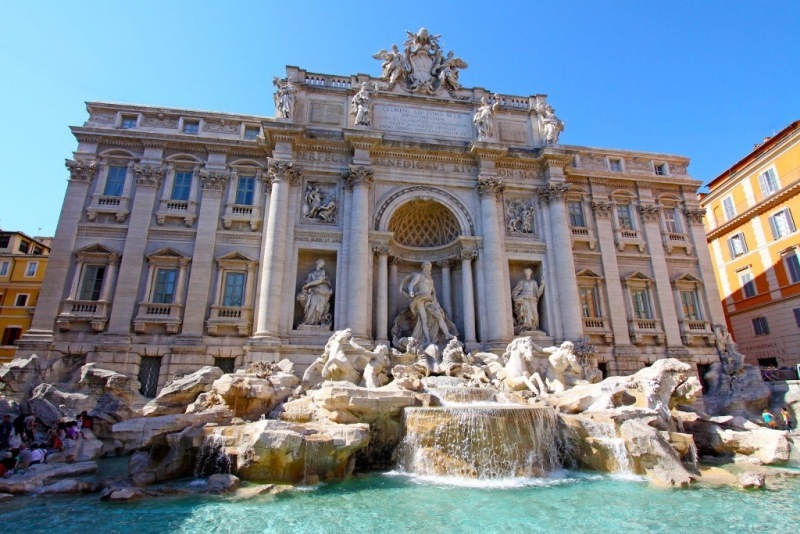 Of the many fountains in Italy, Trevi Fountain is a largest Baroque Style fountain in Rome and one of the famous in the world. This fountain is visited frequently by tourists. The reason why this place is so popular because many believed that throwing a coin into the pool in this place will make your wish comes true. 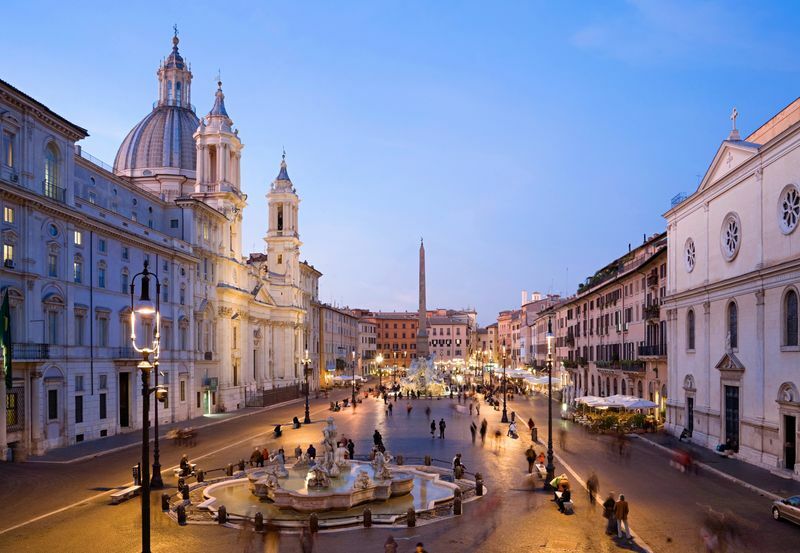 Piazza Navona is one of the most beautiful town squares in the city of Rome. Many places you can visit there as an outdoor cafe, nightclubs, restaurants that make this square and surrounding region became one of the most lively areas in the city. Ponte Vecchio is a bridge that crosses the Arno River in Florence which has a full-colored building on top of it. This bridge is the oldest bridge in Florence which has existed since Roman times. 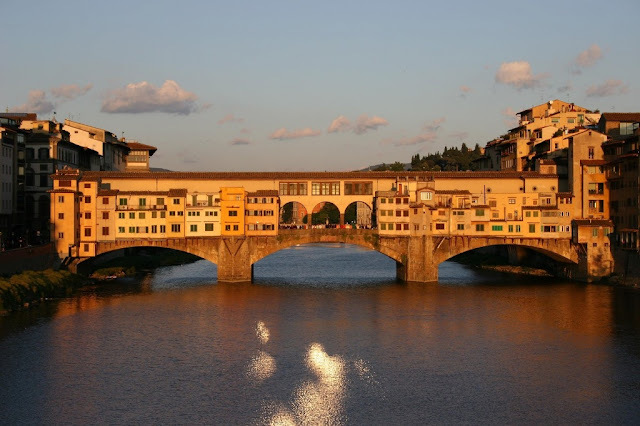 For you who like a wide variety of historical places or buildings that you should come and visit the Ponte Vecchio. 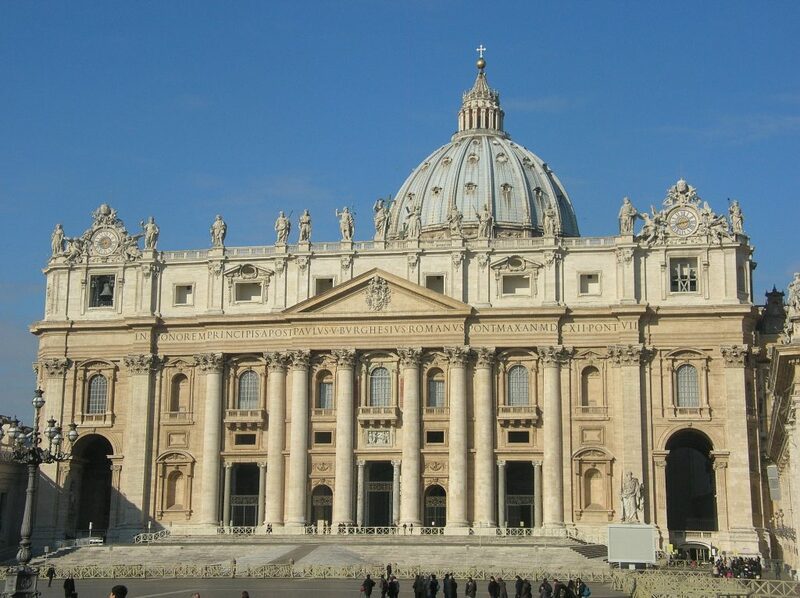 St. Peter's Basilica is one of the biggest churches in the world located in the Vatican City. This magnificent church has become one of the most famous works of art of renaissance architecture also the work of two well-known Italian artists, which are Michelangelo and Bernini. Even though many thought that St. Peter's Basilica as the main church of the pope or the main Church of Rome or the Vatican, this church is not the pope's official church, neither the cathedral city of Rome nor the mother church of the Roman Catholic Church. Regardless those facts, St. Peter’s Basilica indeed becomes the main church since most of papal ceremonies are held in here because of its large size. The building is often considered as one of the most sacred sites in the Catholic religion as well as the famous as a place of pilgrimage or religious tourism. The church is one of the popular places to visit in Italy because the Christmas is held in this church every year and broadcasted worldwide. 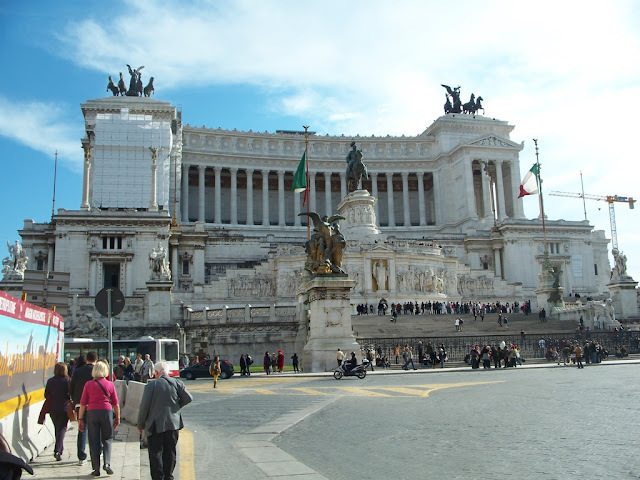 A monument was built to honor the first Italian king, Victor Emmanuel II. The monument was established on the slopes of the Capitoline Hill, in the center of the city and was inaugurated in 1911 or 50 years after the unification of Italy. Is a hill with a beautiful city which, based on Roman mythology, Romulus founded the city of Rome on this hill in 800 BC after killing his twin brother Remus. Centuries later the Roman emperor built sprawling palace on the hill. Those are 10 popular places to visit in Italy, one of the most beautiful countries in the world.